I had two requirements for a recipe for the Super Bowl tomorrow. 1. Quick and easy and 2. Something that will make my niece and nephew excited and happy (always looking for some aunt points). This definitely met the first requirement and I’m pretty sure it’ll easily meet the second. It literally takes TWO MINUTES to make and is stupidly easy. I feel like everyone makes savory dips for the Super Bowl so it’s fun to bring a sweet one for after all of the other food. Combine all of the ingredients in a bowl (besides the animal crackers) and serve cold. 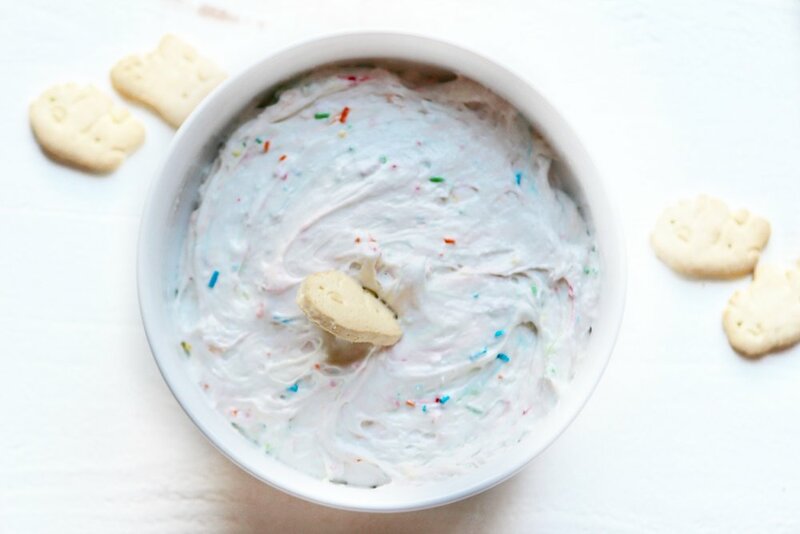 Dip the animal crackers in the dip and enjoy!